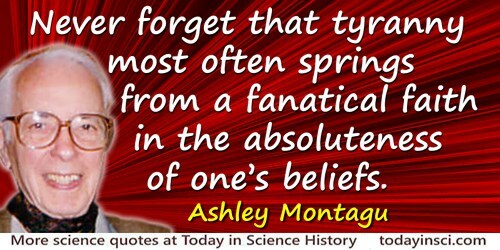 Never forget that tyranny most often springs from a fanatical faith in the absoluteness of one’s beliefs. In Ashley Montagu (ed. ), Science and Creationism (1984), Introduction, 9.